There's a new topic of conversation buzzing these days, and its vocabulary is turning a lot of heads: toilets, sanitation and open defecation. In the course of the last six months, sanitation--one of the most critical yet taboo subjects on the planet--has been making unprecedented headlines. Having lived and worked in half a dozen countries where sanitation was a critical public health concern and the lack of safe and private toilets a daily struggle for millions, I dare say, it's about time. The sanitation crisis is one of epic proportions. Today, 2.5 billion people live without a decent toilet. Admittedly hard for many here in the U.S. to fathom, the lack of toilets and the resulting practice of open defecation is an ongoing public health crisis that contributes to the preventable death of 1,400 children around the world each and every day. Beyond public health, it's an issue of dignity and well-being, safety for women and girls, and one that carries an enormous economic cost. The failure to prioritize toilets and sanitation has been exacerbated by what we at WaterAid refer to as the 'poo taboo.' For far too long, people have been unwilling to talk about toilets. Instead, sanitation has been seen as something dirty, undignified and not for polite conversation. 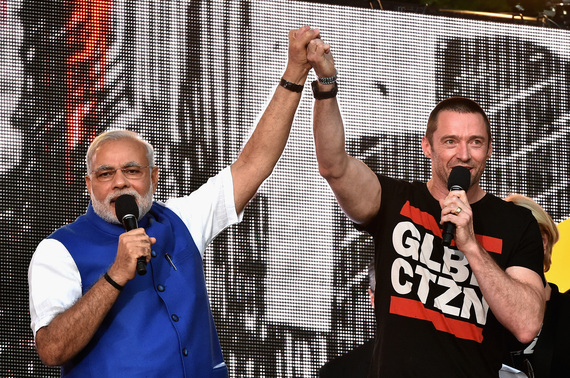 If we've seen anything over the course of the last months, it's that world leaders, celebrities, the media, businesses and everyday citizens are finally raising voices together, stepping up to give the sanitation crisis the critical attention it demands. 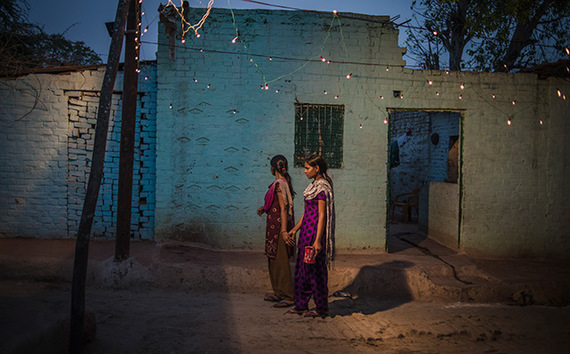 Widespread outrage was sparked, for example, when the story broke about the vicious attack and murder of two teenage girls in Uttar Pradesh, India after they went out to relieve themselves in a field because there was no toilet in their home. It's a tragic story that received widespread media coverage around the world. Shortly thereafter, the poo taboo was shattered yet again by the widely read front-page story in the New York Times about the link between toilets and malnutrition in children in India. The article revealed that the high level of open defecation, combined with the lack of access to safe water and hygiene education leads to sicknesses that prevent even well-fed young children from absorbing the vital nutrients that they need, permanently affecting their growth and cognitive development. Creating more buzz yet, sanitation took center stage at last month's Global Citizen Festival in New York's Central Park. Incredibly, everyone from Nashville star Connie Britton to model and H&M Conscious Foundation Ambassador Alek Wek, Indian Prime Minister Narendra Modi, UN Secretary General Ban Ki Moon, and Sesame Street's sanitation Muppet Raya was talking about toilets and the life-saving difference they make to people's lives -- especially for women and girls. From the halls of the U.N., to the most famous of public parks in the U.S., people are beginning to realize that toilets and sanitation are critical to making sure that we protect hard-won gains and keep up the momentum in all of the more traditionally attractive areas of development, such as health, education, and economic development. Lest we become overzealous in our excitement, though, we will do well to remember that our actions must speak louder than words. We've got the whole world talking toilets; now is the time to build on our new-found voice and keep the momentum going in the form of tangible action. Here in the U.S., the most immediate and far-reaching action each of us can take is by taking two minutes to ask Congress to send the Water for the World Act to the President's desk before the end of the year. Water for the World was making headlines at the Global Citizen Festival for good reason: it's a straightforward, cost-neutral bill that offers millions of people a better quality of life. What's more, the Water for the World Act will make sure that Americans get the biggest possible bang for their taxpayer buck when it comes to foreign aid dedicated to reaching the poorest of the poor with access to lifesaving water and toilets. On a global level, the U.N. Open Working Group is hard at work discussing a new set of Sustainable Development Goals, which includes a proposal to achieve access to safe water and sanitation for everyone, everywhere by 2030. Ambitious? Yes. Achievable? Absolutely. Things are changing. That's why I'm a firm believer that the increased groundswell of interest in sanitation and willingness to openly discuss it will not only propel well-articulated public commitments, but most importantly, the concrete and consistent actions needed to end the world's sanitation crisis.